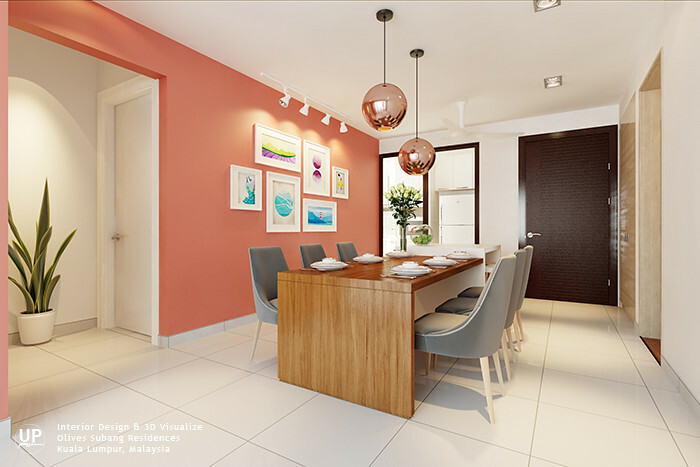 With client's favorite color - Coral color, we came up with this refreshing dining area combined with island counter beside the rectangular timber dining table. 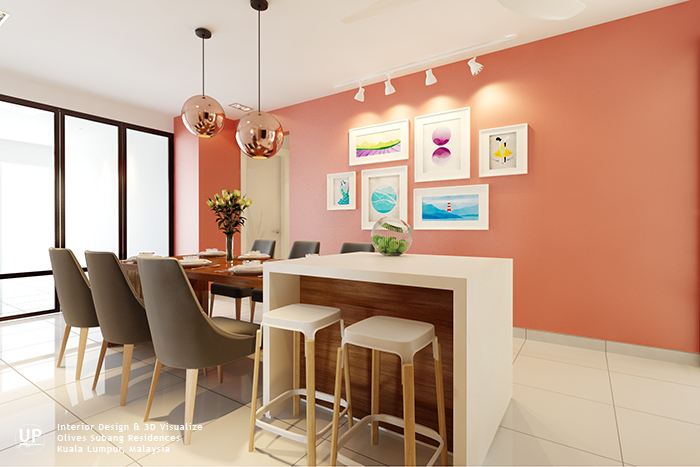 The highlighted wall with the special color enhanced the overall area to a happy and welcoming space in the house. Turning our fascinating imaginations into three dimensional art. Interior design & 3D visualise by UP creations.